Touloumotyri is a goat cheese made throughout the Aegean. 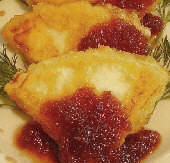 It is a moist cheese that takes its name from the goat hide (touloumi) in which it is ripened and stored. It is similar in texture to feta but sweeter because of the way it is cured. It is one of the oldest varieties of cheese in Greece. Touloumotyri is a soft cheese that ranges in color from very white to a pinkish color, depending on the level of acidity. The pinker the color, the higher the acidity. 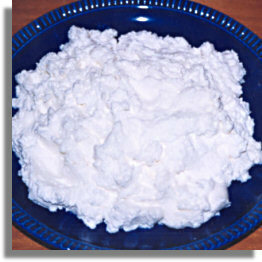 Touloumotyri can be used wherever feta is used; however, it is not in great supply.